This is a scalable context timeline. It contains events related to the event September 1998-July 1999: FBI Conducts Inquiry of Suspected Al-Qaeda Advance Man. You can narrow or broaden the context of this timeline by adjusting the zoom level. The lower the scale, the more relevant the items on average will be, while the higher the scale, the less relevant the items, on average, will be. 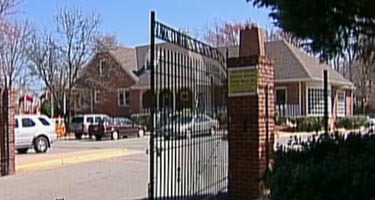 According to phone records, four calls take place between imam Anwar al-Awlaki and Omar al-Bayoumi on February 4, 2000. This is the same day 9/11 hijackers Nawaf Alhazmi and Khalid Almihdhar move into their own apartment in the Parkwood Apartments complex in San Diego (see February 4-Mid-May 2000). [9/11 Commission, 7/24/2004, pp. 517] On this day, al-Bayoumi is the co-signer and guarantor on their lease, and pays their first months’ rent and deposit. It is possible they are using al-Bayoumi’s phone at this time. [Federal Bureau of Investigation, 10/3/2001 ; 9/11 Commission, 7/24/2004, pp. 517] An FBI agent who investigated the calls will later say that he is 98 percent certain that the phone is being used by Alhazmi and Almihdhar at the time. The phone will call al-Awlaki on February 10, 16, and 18 as well (see Spring 2000). [9/11 Commission, 11/17/2003 ] Al-Bayoumi, a suspected Saudi spy, helps the hijackers settle in San Diego in many ways (see January 15-February 2000). 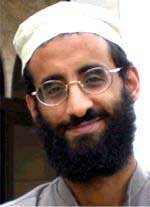 Al-Awlaki is the imam for the hijackers at the Al-Ribat Al-Islami mosque (also known as Rabat) on the La Mesa-San Diego border (see February-August 2000). US investigators will later conclude he is connected to al-Qaeda and probably involved in the 9/11 plot. [Washington Post, 2/27/2008] Al-Awlaki is the subject of an FBI counterterrorism investigation at the time these calls are made, but the investigation is closed one month later (see June 1999-March 2000). Yazeed al-Salmi lives with future 9/11 hijacker Nawaf Alhazmi for about a month in the San Diego house of an FBI informant. Alhazmi has lived in the house with Khalid Almihdhar and FBI informant Abdussattar Shaikh since May 2000 (see Mid-May-December 2000), but Almihdhar left to go overseas in June and did not return to San Diego (see June 10, 2000). Apparently there are no other new roommates for the rest of the time Alhazmi lives at the house until December 2000 except for al-Salmi. Al-Salmi moves in with Alhazmi and Shaikh just three days after arriving in the US on a student visa. 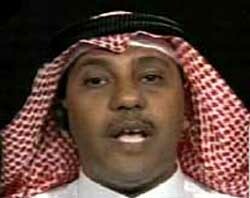 Hijacker associate and suspected Saudi spy Omar al-Bayoumi, who nominally reports to al-Salmi’s uncle, Mohammed Ahmed al-Salmi of the Saudi Civil Aviation ministry, helped al-Salmi find the accommodation (see September 1998-July 1999). 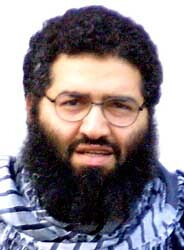 Curiously, al-Salmi was a childhood friend of 9/11 hijacker Hani Hanjour in Saudi Arabia. 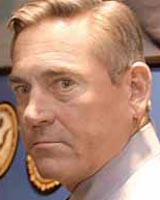 [KGTV 10 (San Diego), 10/11/2001; 9/11 Commission, 7/24/2004, pp. 222, 518; 9/11 Commission, 8/21/2004, pp. 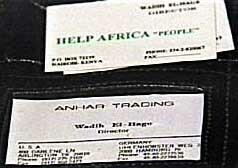 139 ] In early September, Alhazmi apparently helps al-Salmi cash some checks (see September 5, 2000). After al-Salmi moves out of the house, he moves into a nearby apartment with Modhar Abdullah and others. [9/11 Commission, 7/24/2004, pp. 222, 518] After 9/11, there will be reports that both al-Salmi and Abdullah may have had foreknowledge of the 9/11 attacks (see Late August-September 10, 2001). 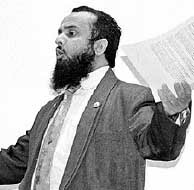 FBI Informant Stays Silent - The hijackers are living with an FBI informant named Abdussattar Shaikh who is aware of their contact with at least Mustafa, and Shaikh has given reports about Mustafa to the FBI in the past. However, Shaikh fails to tell the FBI about their contacts with him. The 9/11 Congressional Inquiry will later strongly imply that Salamah and Mustafa assisted the hijackers with the 9/11 plot, but the FBI will appear uninterested in them and will maintain that the hijackers received no assistance from anyone. [US Congress, 7/24/2003, pp. 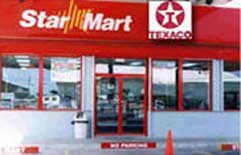 xii, 11-12, 143-146, 155-157 ] Shaikh will also later admit that he knew Alhazmi was working illegally at the gas station, but he didn’t tell his FBI handler about this (see Autumn 2000). Yazeed al-Salmi. [Source: Channel 10 News]A total of $1,900 is deposited in 9/11 hijacker Nawaf Alhazmi’s Bank of America account from a set of traveler’s checks worth $4,000 that were issued in Riyadh, Saudi Arabia on July 16, 2000 to a man named Yazeed al-Salmi. The same day, Alhazmi withdraws $1,900. US investigators will therefore later hypothesize that Alhazmi is just helping al-Salmi cash the checks, since al-Salmi does not open a US bank account of his own until September 11, 2000. 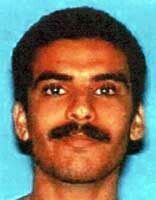 Al-Salmi arrived in San Diego on a student visa on August 7, 2000 and moved in with Alhazmi and FBI counterterrorism informant Abdussattar Shaikh three days later, staying for about one month (see August 10-September 2000 and Mid-May-December 2000). 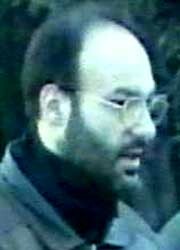 After 9/11, the FBI will detain al-Salmi as a material witness and question him because of his contacts with Alhazmi, and he will testify before a grand jury before being deported to Saudi Arabia. However, al-Salmi does not mention the traveler’s checks in the interrogation and the FBI will not find out about them until after he is deported. Also, another associate of the hijackers, Mohdar Abdullah, will later claim that al-Salmi tells him he previously knew hijacker pilot Hani Hanjour as a child in Saudi Arabia (see (Early 2000-November 2000)). When the FBI interviews al-Salmi again, in Saudi Arabia in 2004, he will claim he no longer remembers the $1,900 transaction, and the FBI will fail to ask him about his alleged childhood ties to Hanjour. [9/11 Commission, 7/24/2004, pp. 222, 518; 9/11 Commission, 8/21/2004, pp. 139 ; Time, 8/22/2004] There are later indications that al-Salmi and some of his associates have some foreknowledge of 9/11 (see Late August-September 10, 2001).